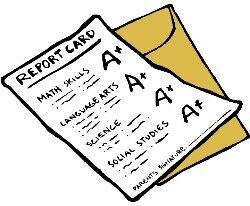 Rob Gorski April 2, 2013 April 2, 2013 11 Comments on Should #Autism be cured? I answered my very first question as an expert, on Dr. Oz’s Sharecare website. For the record, I’m so incredibly honored to be recognized in this fashion for my work in the Autism Community and I hope that this new opportunity allows me to reach out to even more people. 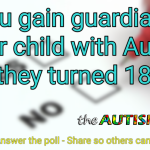 The question that was asked was Should Autism be cured? First off all, this is a loaded question. Answering it is akin to playing Russian Roulette. No matter how you answer, there’s a bullet in every chamber that has your name written all over it. 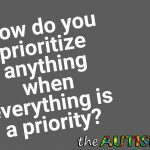 With that in mind, I wanted to share my answer and get your thoughts on the subject of whether or not we should cure Autism. This is a really tough question to answer. 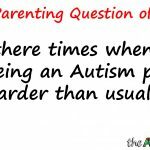 As a father to 3 boys in various places on the Autism spectrum, I’ve asked myself this question many times. 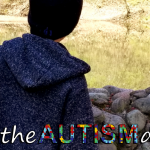 Autism is a profoundly dynamic disorder, meaning that each and every person with Autism is unique, with a different set of skill sets as well as challenges. Some people are more profoundly impacted by Autism and face a great many challenges and are perhaps, unable to even speak. Others on the Autism spectrum will face fewer challenges in life. When it comes to a cure for Autism, the first thing that comes to mind is no. In my opinion, I don’t see how you could possibly remove something from someone that is so tightly woven into the very fabric of their being. How could you remove the Autism, without removing a huge part of who they are? I think the simple answer to this very complicated question is that I don’t think we have the right to make that decision for anyone. Most of my Autistic friends would in fact be insulted by this question because it infers that there is something wrong with them to begin with. I don’t think I could bring myself to make this type of decision for my kids. The risk of losing who they are would be far too great. I would think that if a cure were available, it would have to be up to the individual person. It’s their life, therefore their decision to make. 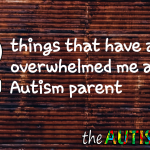 As a special needs parent, it breaks my heart to watch my kids struggle at times. Having said that, they always seem to overcome their obstacles. They’re happy and enjoying life. If I were pressed to make decision, I would not “cure” them of what makes them…..them. If you interested in reading what my other colleagues had to say on the subject, you can hop over to the Sharecare website and read their responses here. Sharecare is a health and wellness social media platform that connects people with top-ranking experts ranging from doctors and specialists to hospitals, healthcare companies and health-conscious consumers. The power behind the site’s unique Q&A format is its collective wisdom, providing health-seeking consumers with answers reflecting multiple expert perspectives—greatly simplifying the search for quality information. Created by Jeff Arnold and Dr. Mehmet Oz in partnership with Harpo Studios, Sony Pictures Television and Discovery Communications, Sharecare allows people to ask, learn and act upon questions of health and wellness, creating an active community where knowledge is shared and put into practice — simply said, sharing care. Launched in 2010, Sharecare is based in Atlanta, Georgia. I love my son with ASD for who he is. That said I would sell my organs if it meant a cure for his Autism. No one should have to struggle for every word, skill, and achievement the way he does. I respect your opinion but suspect that if you had a cure for all they struggle with that would leave them with their own personalities the way they are you would take it. @Lukesmama I totally agree with you. I think the need or desire for a cure should be in an individual basis. Some people are more profoundly affected and might benefit from a cure, others maybe not. As a parent, it’s so hard to watch our kids struggle. 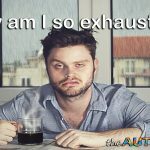 I’m high-functioning and I still hate having autism. I’d trade in all the “gifts” it gives me in a second just to be a normal person and not have stupid meltdowns over things like, say, a loaf of bread. My son is on the extreme end of the spectrum. 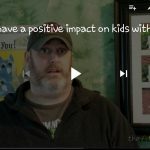 If I thought that he could lead a near “normal” life without bolting issues, communication difficulties, social issues, the need for an iep, pull ups, etc. Absolutely I would say YES! I would be another yes. My daughter will be 5 in May. She regressed right around 18 months. It’s been a very long journey since then. She currently is nonverbal and violent towards herself, her big sister and me. Being kicked in the face, punched and headbutted daily is no life for anyone much less a little girl who hits her head or arms on everything because she can’t communicate what she wants/needs. I worry/am terrified of her/our future if this can’t be changed or helped some how. Before she regressed she smiled all the time, now it’s rare. So yes I want my little smiley girl who woke up happy giggly every day back. michel72 I’m so sorry for what your going through. Not many people can understand the regression and how it truly feels like you’ve lost that child. I understand. 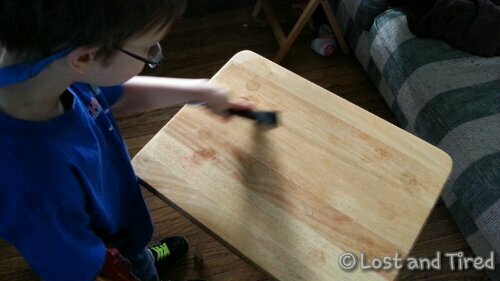 When my oldest regressed at age 3 or 4,he basically disconnected from us. His personality completely changed and it was like we didn’t know him. He has continued to regress slowly since then. It’s heartbreaking and if I could cure him of that and bring back the child we lost, I would likely do it. I don’t see Autism as something that can be ‘cured’. What I do think needs to happen, is for anyone diagnosed with being on the spectrum get the help they need! Speech therapy, OT make all the difference to someone on the spectrum but they come at high cost. 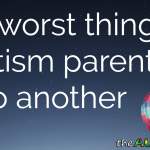 People with Autism just need to do things differently than those who aren’t, that isn’t a bad thing. Help us as parents now so that our children can grow up and have a chance at functioning in this world. Melisssssa I agree with you. Well said. Parents need help now. I’m on the side of saying YES – if it can be cured safely, cure it. For too long I’ve looked into lost eyes and have seen a child who, essentially, is not being allowed a childhood. Yeah, I understand that he has a childhood but that it’s just ‘different’ than everyone else. That’s not what I mean. 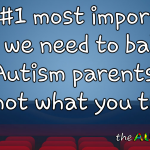 Autism has taken away a lot of what should be a unique and strong bond with a twin. It has caused years of frustration caused by an inability to communicate and socialize normally. 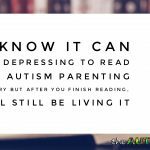 In these essential early childhood years, autism has taken away his ability to learn so much of what other mainstream kids consider the norm. There’s no doubt my son is unique and for the most part, he’s happy. Yet there are just too many questions surrounding his future in terms of school, friends, sports, girlfriends, college, career, etc. Putting a child through all of that; putting him/her behind the proverbial 8-ball early in life isn’t fair. @Michael I absolutely respect your opinion. This is why I said it would have to be up to the individual. My oldest, Gavin, regressed at the age of 3 or 4 and if given a chance, I would bring him back. My other two kids are on the spectrum but never regressed and are doing pretty well.